Business cards are the most widely used way to personally give someone a snapshot of your business and more importantly a way to get in touch with you and your company. 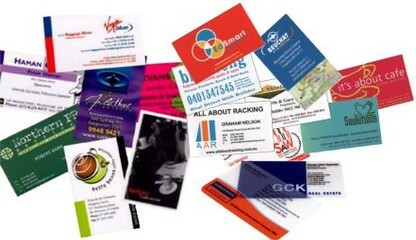 We can design and print business cards that incorporate your personal or company identity and well as QR codes. Business cards can range in formats from basic black & white to impressive full-color designs, printed in your choice of flat or raised ink. We can also create a corporate identity package for you, with an integrated system of business cards, letterhead, envelopes and marketing materials.